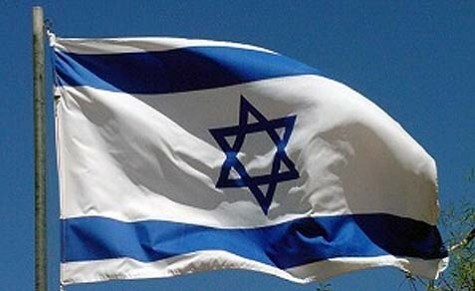 Israel is the 8th most powerful country in the world – as it was in 2017 – according to the 2018 Power Rankings, published by the US News & World Report in partnership with the world renowned Wharton School of Business (Pennsylvania University) and the global strategic consultancy Y&R’s BAV Group. Israel follows the USA, Russia, China, Germany, the United Kingdom, France and Japan, ahead of Saudi Arabia, the United Arab Emirates, South Korea, Canada, Iran, Turkey, India, Australia, Switzerland, etc.. The ranking reflects the regional and global clout of national leadership and economic, political, diplomatic and military networking/alliances. The NY-based Trading Economics – an online platform that provides economic data and forecasts and trading recommendations – highlights a surge of Israel’s Economic Optimism Index from a record low 21.70 in 1976 to all time high 131.40 index points in November 2018, ahead of South Korea’s 113.5, the European Union’s 109.60, the USA’s 104.80 and Japan’s 99.6. Israel is ranked 8th in the November 2018 Global Consumer Confidence Index, conducted by the Paris-based global market research Ipsos, which operates in 88 countries, employing 16,530 persons. Israel follows China, USA, India, Saudi Arabia, Sweden, Germany and Canada, ahead of Australia, Britain, Belgium, France, Italy, Japan, South Korea, etc.. The major engines, which have generated Israel’s demographic, economic, scientific, technological, agricultural, diplomatic and military growth – in addition to the engine of Israel’s brainpower, and the resulting innovative, cutting-edge commercial and defense industries – have been Israel’s relatively high level of optimism and patriotism/resilience, in the face of lethal challenges and threats menacing the Jewish State from its reestablishment in 1948. According to a June 2017 Israel National Resilience Index study, conducted by veteran Haifa University Prof. Gabi Ben Dor, the 2007-2017 level of patriotism and optimism in the future of Israel trends upward among Israeli Jews and Arabs, alike. Since 2000, the level of Jewish patriotism has been around 4.8 on a scale of 1 to 6. The level of Israeli Arab patriotism has ascended from 3 in 2010 to 3.57 in 2017. The level of Jewish optimism rose from 4.56 in 2010 to 4.86 in 2017, and the level of Israeli Arab optimism rose from 3.15 in 2010 to 3.66 in 2017. 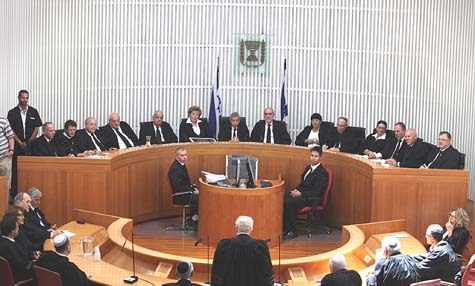 While both Israeli Jews and Arabs demonstrate a 4.1 level of optimism in Israel’s court system, they show less respect (as is the case in most Western democracies) toward the political establishment: Jews – 3.1 and Arabs – 2.9. Moreover, Jewish and Arab Israeli women are more patriotic, optimistic and militant when it comes to facing terroristic and conventional military threats, as well as in their attitude toward the political establishment and the court system. For instance, Jewish women demonstrate a 4.68 level of patriotism, a 4.7 level of optimism and a 3.77 level of militancy. The rise in optimism and patriotism among Israeli Arabs has reflected their enhanced respect for Israel – irrespective of the Palestinian issue – against the backdrop of the regional Arab Tsunami, which erupted in 2010, shining a light on Israel as an island of stability, sanity and democracy in the volcanic, tumultuous Middle East. In fact, Israeli Arab optimism and patriotism has expressed itself since 2004, by systematically rejecting a proposal (made by former Defense Minister Liberman) for Israel to transfer sovereignty over Arab-populated areas in pre-1967 Israel to the Palestinian Authority, while annexing an equal amount of Jewish-populated areas in Judea and Samaria. In other words, Israeli Arabs prefer to be part of Israeli – not Palestinian – sovereignty. Israel has been unique among Western democracies, and probably throughout the globe, demonstrating high levels of optimism, patriotism/resilience and attachment to roots, which has generated unique demographic growth, featuring a Jewish fertility rate higher than most Arab countries – 3.16 births per woman in 2017. Moreover, Israel has been a unique strategic ally of the USA, because patriotism and attachment to roots have been exhibited by both liberals and conservatives, doves and hawks, secular and religious. For example, most Israeli combat pilots and special operation officers and soldiers have been dovish in their worldview. Unlike Western doves, Israeli doves rush to serve in the Israel Defense Forces, demonstrating their willingness to sacrifice their lives on the altar of national security/existence. When it comes to ancient Jewish holidays, the country comes to a standstill on Yom Kippur; no cars on the roads and even Jews who do not fast on Yom Kippur, would not eat in public. In addition, most secular and religious Jews gather around family tables on the eve of Passover, retelling the saga of the Exodus; and an increasing number of secular Jews participate in a whole-night Torah study sessions on the eve of Shavou’ot (Pentecost, one of the three Biblical pilgrimages to Jerusalem); etc..
Once again, conventional wisdom and the “elite” media clash with – and are exposed by – their arch adversary: reality!